Timothy Works joined QuadReal as Managing Director, Americas in February 2017, where he leads the company’s investment and portfolio management in the US and Latin America. During his 26-year real estate career, Tim has been involved in over $10 billion in real estate transactions focusing on new investments and developments in all property types. 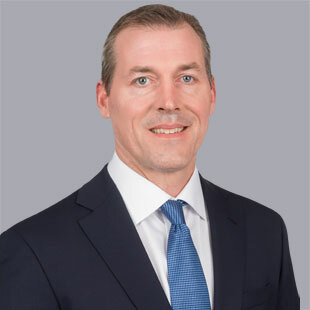 Prior to joining QuadReal, Tim was Senior Portfolio Manager with BCI, where he led the efforts to restructure the firm’s international real estate portfolio leading new investments and portfolio management in the US, UK, Japan, Australia and Mexico. Prior to BCI, Tim was a portfolio manager with CalSTRS and Colorado PERA focusing on new investments for each company’s respective real estate portfolios. Tim holds a B.A. with a double major in Real Estate and Finance from The University of Denver. He is a member of ULI and PREA, where he sits on the Institutional Investor Council, and has served on the Board of Directors for multiple investment and development companies. What excites Tim about joining QuadReal is being part of a new rapidly growing organization dedicated to creating value for its clients and building a world class real estate portfolio across the globe.